QWKFlexsm bandwidth is a unique service offered exclusively by QWK.net. The service was designed to help QWK.net customers manage their bandwidth capacity. In reality, "unlimited bandwidth" offerings promoted by most hosting companies are a marketing gimmick resulting in capped bandwidth and slower service. QWKFlexsm service takes a different approach to meeting the true needs of QWK.net customers. When customers need a temporary increase in bandwidth, QWKFlexsm allows for a temporary bandwidth allowance at no extra charge. So in unusual cases when a temporary spike in traffic requires more bandwidth, the account will not be capped and the necessary bandwidth will be provided. Take advantage of bandwidth capacity when you need it. Keep same account type without needing to upgrade. No surprise charges for increased use of bandwidth. Bandwidth not capped resulting in lost traffic. Your newest product saved the life of a young child. The event was captured by the press and reported on the news and your web site was publicized nationally. 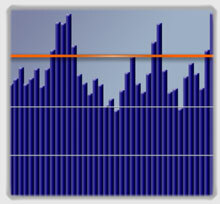 The traffic to your web site increased 150 times the normal capacity. QWKFlexsm allowed for the increase traffic and you sold more products. Other service offerings are metered and would cap the traffic flow to the web site and traffic would be halted resulting in the loss of the opportunity. Some hosting companies would simply charge you a premium for the extra bandwidth used.